The key to selling products in any marketplace is to stand out from the competition. Potential buyers do not necessarily know that your offering is the best so you need to find a way to put your product in front of them. 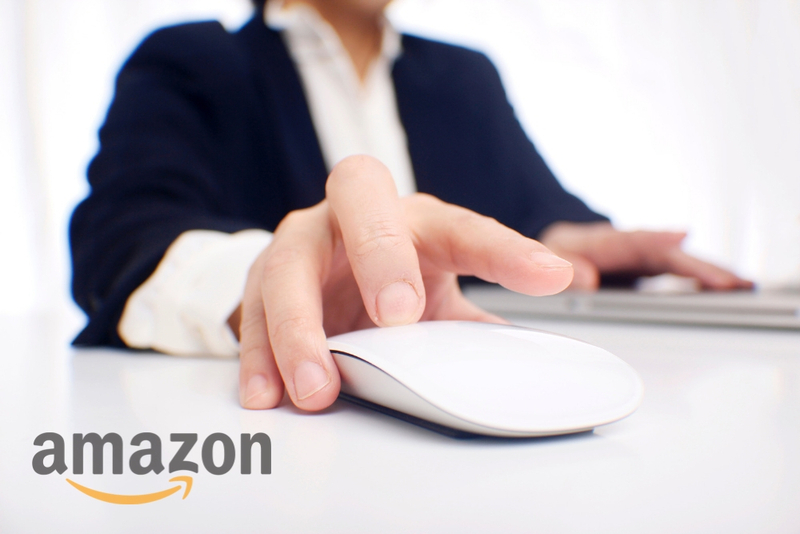 Amazon’s pay per click (PPC) advertising allows you to do just that. PPC advertising, sometimes called Sponsored products, works to give Amazon sellers and vendors an opportunity to appear at the top of Amazon search results and only pay for it when someone clicks the ad! In order to create a PPC ad, you need to have an active professional seller account, be able to ship to all addresses in the United States, and your products must be eligible for the Buy Box. Unfortunately, this type of advertising is not available in all product categories. The list of available categories can be found here and includes popular spaces like apparel, pet supplies, home & kitchen, beauty, and baby. Qualified sellers get PPC ads by bidding on keywords related to their product. Basically, the seller with the highest bid for those words will appear in the top spot in an Amazon search that uses those keywords. Amazon sponsored products appear the same as organic results but are discreetly marked as “sponsored” to distinguish them. They can be found throughout the search page. They can also appear on product listings. You can find them underneath the title and image and above the product description. Running a PPC campaign is easy. You decide what products you want to advertise, decide how much you are willing to bid on a click, set your budget, and determine how long you want to run the campaign. A key factor to keep in mind here is what Amazon calls the “Advertising Cost of Sale” (ACoS). This percentage will help you determine who much you can spend on advertising without losing money on your sale. Unfortunately, many sellers forget their profit margins when setting their advertising budget and may be selling their items at a loss. Never forget that you are in this to make money. Some products are harder for potential buyers to find than others. If a category is heavily populated, it can be difficult to stand out from the crowd. You know to include product keywords in your listing but sometimes your product does not appear high enough in an organic result. If you run a sponsored product ad on those underperforming keywords, you put your listing in a place where it will get noticed. This is ideal for not only underperforming products but your brand as a whole. The more sales you make, and the more satisfied customers you create, the stronger your brand becomes. Sales and positive reviews go a long way to determining your Best Seller Ranking and your appearance in organic search results. Advertising will help you get, and keep, your name top of mind for Amazon users. Each season has its share of holidays that can be used for sales and promotions. Around Christmas, for example, people are looking to buy gifts. Take advantage of this desire to spend money by positioning your product in a place where buyers can find it. A PPC ad that makes use of the keywords “Christmas,” “holiday,” and “gift,” can increase your sales. You can also make use of ad campaigns to promote “End of Season” sales if you need to clear your inventory and make room for new products. Products with a large sales volume are placed at the top of product searches, this makes it especially difficult for new products to be discovered by people who may be interested in buying them. If these products are unable to get noticed, they will not generate sales. If they cannot generate sales, they are unlikely to be noticed. It is a nasty cycle that can be solved with PPC advertising. These ads can boost sales and improve organic search results. As mentioned above, it is not generally advisable to market a product at a loss, spending big to promote a new product is not unheard of. It is a short-term spend that can establish your product for long-term success. By generating a number of sales, the product will begin to rank organically and you can spend less on advertising. You may already be a high ranking seller in all possible categories but Amazon is a very competitive space. By running PPC ads, you are promoting your product so that you stay in that top position. Other sellers have the power to run their own ads that can knock you out of position. Protect yourself! Running PPC advertising on Amazon can improve organic search results, increase your Best Seller Rank, boost brand awareness and grow your bottom line. It is a powerful way to make the most of your product listings. By visiting your Seller Central page and selecting the advertising tab, you can create a campaign that will help you target the right buyers and establish yourself as a real force in the marketplace.